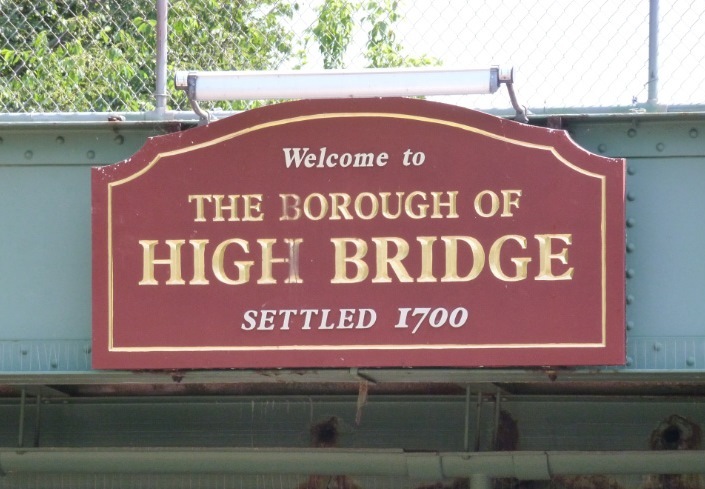 The Borough of High Bridge, incorporated 1898, is located in the rolling hills of Northern Hunterdon County in western New Jersey. High Bridge was named for a 1,300 foot long, 112 foot high bridge built by the Central Railroad Company across the South Branch of the Raritan River. It was too costly to maintain and was subsequently filled in with an earthen embankment, leaving a double-arch culvert for the river and Arch to Street pass through. Construction of the embankment began in 1859 and took five years to complete. Originally an "iron town”, High Bridge was host to the first ironworks in Colonial times. Solitude House, built in 1710, was the center piece of the Union Forge Iron Works which supplied cannon balls during the Revolutionary War and later, train wheels throughout the Civil War. Finally becoming the Taylor-Wharton Iron and Steel Company, it was, until its closing in 1972, the longest running, privately held ironworks in the United States. 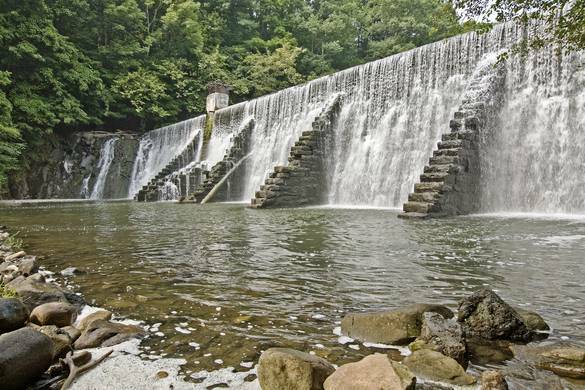 The Solitude Dam was built in 1909 in front of an earlier dam and, it and its predecessor, were used to provide hydroelectric power to the foundry and is the last remaining example of an I-beam dam in the state. Today, the town retains much of its original charm with business owners renovating the old buildings along the quaint Main Street, the old railroad freight station converted to a café, Victorian style street lamps and a variety of shops and restaurants that attract both locals and visitors alike. Also at the edge of town is the train station for the western terminus of the Raritan Valley Train line offering rail service to New York City. The town encompasses 2.4 square miles with a population of 3,785. There are a host of recreational activities to be enjoyed. There are two parks within the Borough including the main park, Union Forge, and Borough Commons, located at the start of the Columbia Trail and the High Bridge Golf Course. Just north of the Borough is the Voorhees State Park, which includes the Paul H. Robinson Observatory. Other sites not to be missed are the Ken Lockwood Gorge knows as the State’s premier fly-fishing stream which flows into the serenity of Lake Solitude and the Columbia Trail, which starts in High Bridge, and is the State’s longest mountain biking and jogging trail.